Incense stick is the materials used by Buddhists to pray to god at home, pagodas, or other holy places to help them achieve their wishes. Since the national religion of Cambodia is Buddhist, the demand for the incentive stick is quite high because it is needed everywhere nationwide. 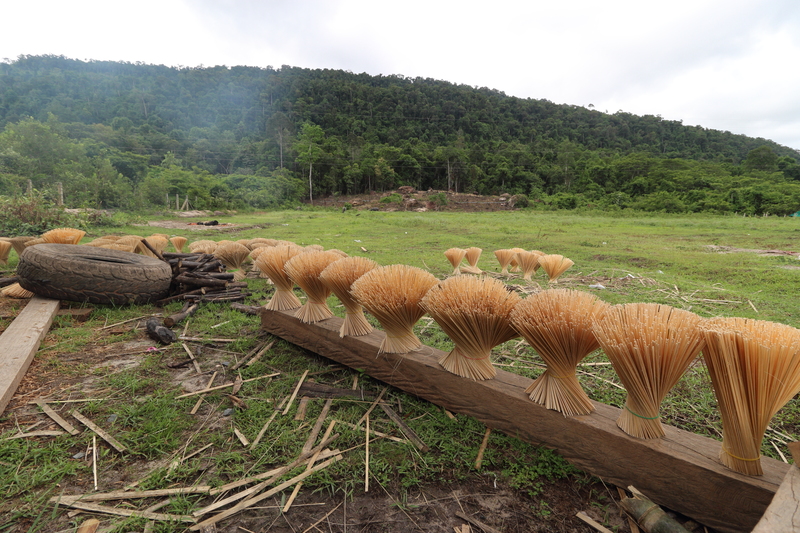 Seizing the opportunity to help communities generate incomes, and at the same time to contribute to forest conservation, WWF-Cambodia, through Rattan & Bamboo Project, has initiated a business model at Toap Cheang Community to create a supply chain of bamboo incense stick products. After working on this business model for almost a year, the community eventually started its operation in July 2016. 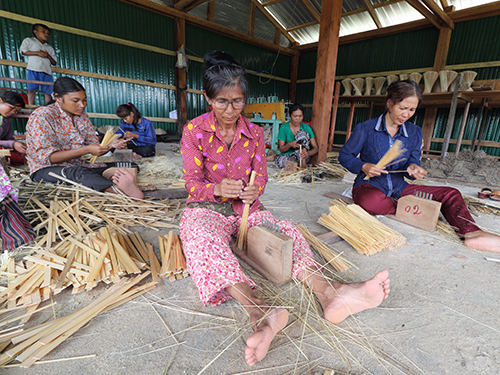 In cooperation with Forestry Administration and commune authority, WWF-Cambodia conduct a workshop on processing machinery and incense splitting tools to train to the community. 10 families were trained on incense stick processing, and they were provided the accessibility to using machinery at the workshop and splitting tools. In addition, the project encourages a group of women to initiate their business creativity on incense stick production with revolving fund support from WWF. The group is now actively involved with the supply chain. 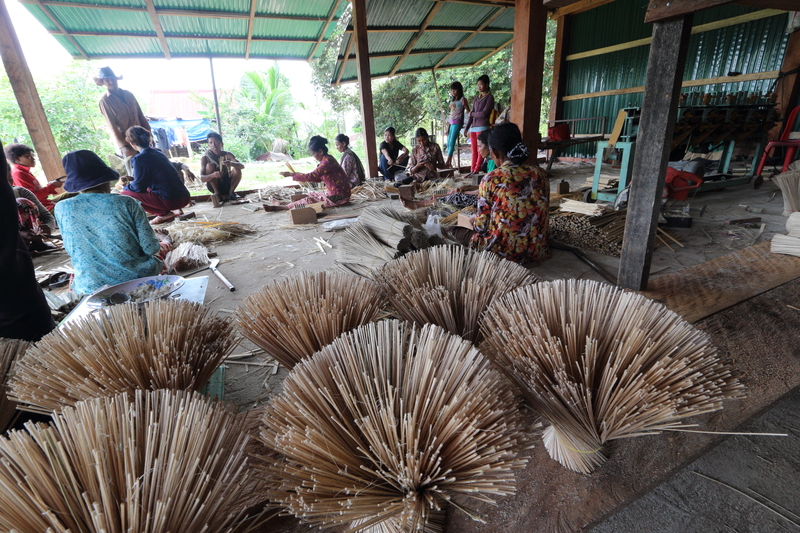 The community does not worry about finding the market of the products because WWF has facilitated the contract agreement between the community and buyer, Bopha Angkor Incense Handicraft, in which the supplier willing to buy all the produced incense sticks with a reasonable price. As a result of the project, the community can approximately produce the incent sticks at 500 kg per month. Moreover, based on the community, one person can generate $5 per day from their full time work. This is just a start of the project, and it is expected that the community will increase their production when they are getting more familiar with the machines, and when all the machines are used at their full capacity. This is a good achievement, and a great business model that it does not only help community generate incomes but also promotes sustainable bamboo production and supply, as well as contributes to forest protection.